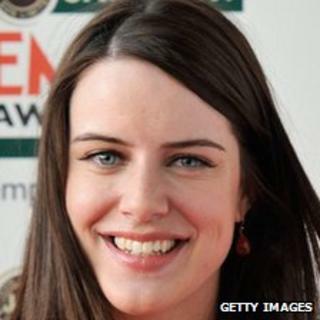 Former EastEnders star Michelle Ryan is to perform opposite Will Young in a new West End revival of Cabaret. The 28-year-old will play singer Sally Bowles, the role Liza Minnelli took in the Oscar-winning 1972 film. Rufus Norris's production will run at London's Savoy Theatre from 3 October, following a four-week tour of the UK. Ryan played Zoe Slater in EastEnders for five years before leaving in 2005. She later appeared in a short-lived US TV remake of The Bionic Woman. Since then she has been seen in the 2009 Doctor Who episode Planet of the Dead and the Sean Bean film Cleanskin. Young, 33, will play the Emcee, the flamboyant master of ceremonies at the Kit Kat Club in 1930s Berlin, where much of the action is set. The Kander and Ebb musical, based on the Christopher Isherwood short story, was last staged in the West End in 2006 - with Norris directing, Anna Maxwell Martin as Sally and James Dreyfus as the Emcee.